June 2, 2013 By Tiffany 1 Comment By clicking on our links, we might make a SMALL commission - Thanks for the support! See our full DISCLOSURE here. You might remember back right after Christmas, that Thirty One had a clearance sale and I bought a bunch of the $2.99 insulated bags. There was also a sale at Bath & Body Works where I was able to pick up lotion and other items for $2.75 for the regular large size items that were normally $11-$15. I wrote about it HERE. 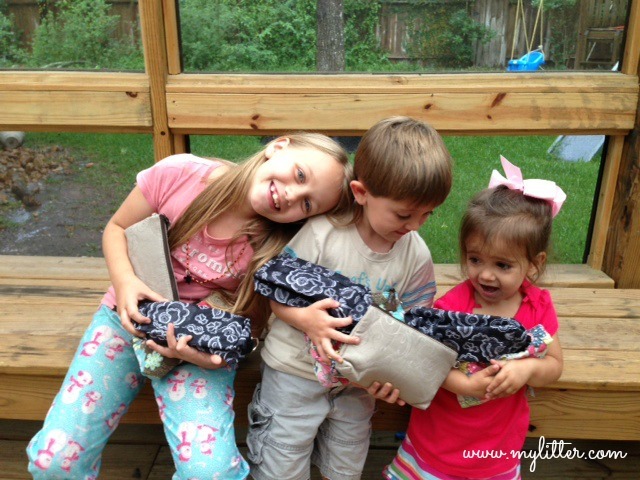 The next Thirty One Outlet Sale is coming right after Christmas. The sale starts 12/26/13 at 7pm CST. I could go to the Dollar store and bought a cheap bag and $1 lotion, but they just are not that nice. My goal is to give nice name brand items for a lot less than retail. 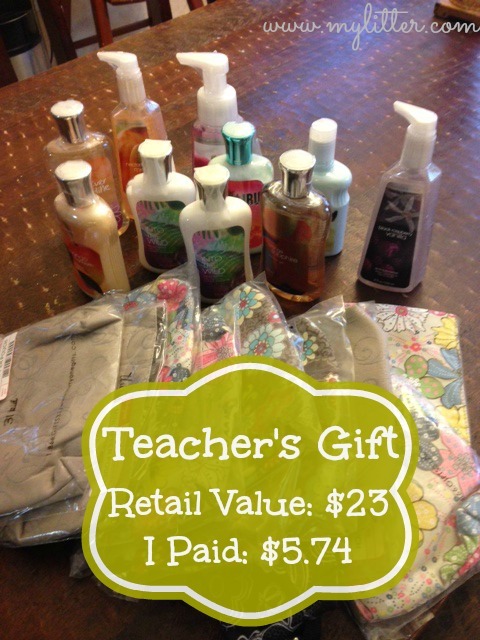 A $23 gift is a pretty dang nice gift for an end of the year teacher’s gift. I have 17 teacher’s to buy for, and that is not counting the music and art teacher’s (which I have something for as well). I can’t afford $391 in teacher’s gifts. But I can do $97.58 for 17 teacher’s! And, I think they really do like the name brand nicer items, I know that I would. Plus, the kids “assembled” them all which took all of 5 minutes and they are pretty proud of themselves! I bought pink and lime green gift bags at Hobby Lobby right after Christmas for about 90% off, posted HERE, and I am packing them all up really cute today for the kids to give to their teacher’s this week! In short, with a large family, and small budget, I work hard to try and give something nice to my kids teacher’s. I would love to give them all $50 gift cards, but I just can’t. When you have the chance to stock up and buy something for 75% off or more, do it, and save it for when you need to have a gift for someone! Thank you Tiffany for your generous heart! I love hearing about your ways to save money and be able to donate things that I get for free or pennies with coupons! God has given us this big world to reach and you help me to do that!